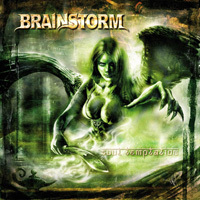 Formed in 1989 by Torsten Ihlenfeld and Milan Loncaric on guitars and Dieter Bernert on drums, BRAINSTORM released their first demo “Hand Of Doom” after one year of existence. Followed by many shows and several compilations and demos (“Heart Of Hate” / 1992; “The Fifth Season” / 1994) the band signed their first recording contract in 1997. The self-produced debut album “Hungry” was an immediate winner with fans and journalists alike, enabling BRAINSTORM to go on their first European Tour. 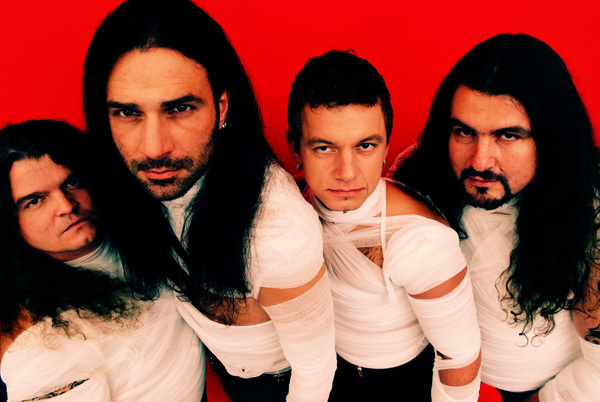 In 1998 the band hired the illustrious producer team of Dirk Schlächter and Charlie Bauerfeind to guarantee a perfect production for their sophomore effort “Unholy”. The following European Tour alongside Iced Earth totally fulfilled the high expectations, created by an already overwhelming reaction from the metal press. 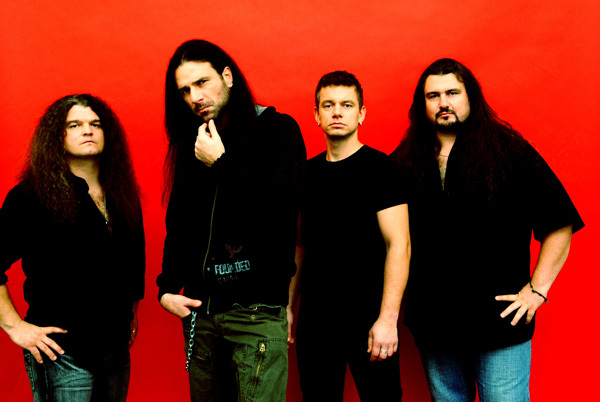 In 1999 the vocalist position became vacant, but the band managed to fill it with one of the best metal frontmen worldwide, Andy B. Franck. 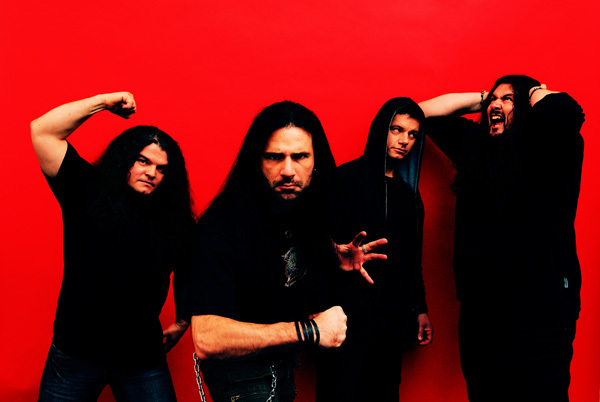 Finally everything was falling into place, and the band signed a contract with Metal Blade Records. The long awaited third album “Ambiguity” was recorded at House of Music Studio with Dirk Schlächter and Sascha Paeth producing, and was received with euphoric reviews everywhere. Successful European tours and various celebrated festival appearances further cemented the band’s popularity, making the “Swabian Five” one of the hottest bands around. 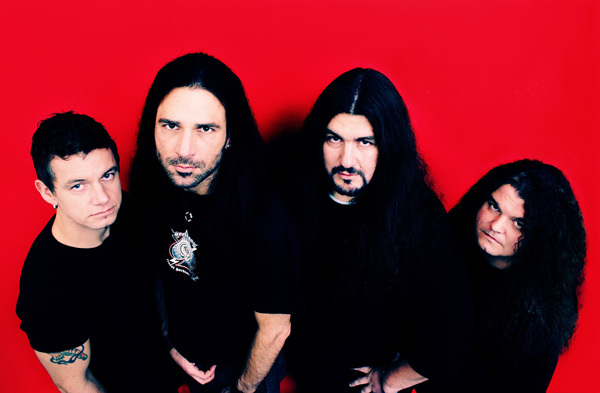 In October 2001 the band released “Metus Mortis”, a high-energy metal classic produced by Achim Köhler, which became Album of the Month in several metal magazines worldwide, paving the way for another successful tour as well as many festival gigs and shows across Europe. In March 2003 the band returned to the studio to record “Soul Temptation”, the fifth album in their career. 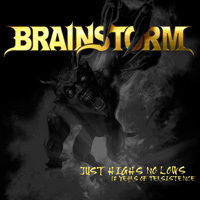 What followed the release can only be described as a triumph for the band: Several chart entries, a massive European tour and festival shows all over the world resulted in the band’s definitive incorporation to the World’s Champions League of Metal. BRAINSTORM had finally arrived where they belong – at the top! So now time to take a break? No way! With the incredible energy and atmosphere from their live shows still fresh in their minds, the band began writing new material. From November 2004 on, the band started recording their new album again with Achim Köhler in their usual working environment. 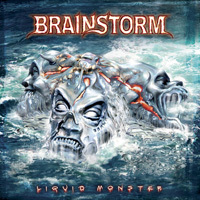 “Liquid Monster” was completed in early 2005, showcasing the enormous progress the band had gone through, surpassing even the most optimistic of predictions. The single “All Those Words” was released on March 7, meant as an appetizer for the fans before the full album was launched on April 4. Again, several chart entries all over Europe followed. Their following first headlining tour through Europe was an overwhelming success, seeing the band touring constantly for over a year and a half, including all the important festivals and such. 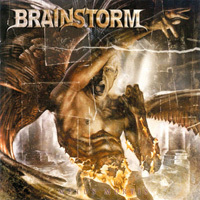 At the end of 2006 the band started work on their 10 years of BRAINSTORM albums festivities for 2007, which included the re-release of their first two albums, “Hungry” and “Unholy”, and the first ever double DVD “Honey from the B’s” with a duration of over 5 hours of pure BRAINSTORM Power. 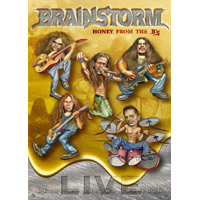 The DVD was highly praised by fans and media, entering several DVD charts again and shortening the wait for the new album with another successful release. 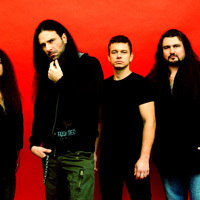 The new album’s proceeding single “Fire Walk With Me” was released in October 2007 and topped the Hungarian charts in its week of release. 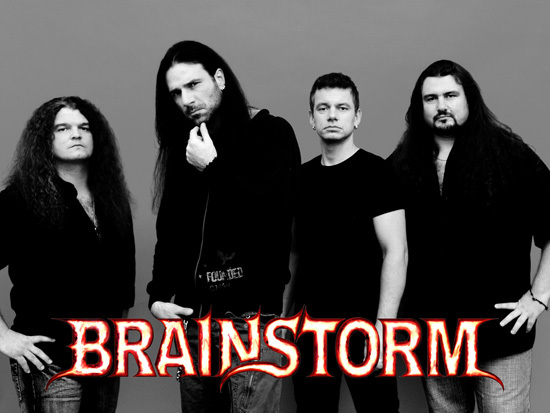 Now, after 2 1/2 years of wait, BRAINSTORM have recorded their long awaited new album “Downburst” with producers Sascha Paeth and Miro, which will be released in January 2008. 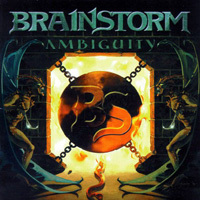 And BRAINSTORM is stronger than ever. “Downburst” will not only satisfy the needs of their followers, it will surprise many and even convince the non-believers! All songs show the incredible song writing talent of the band members and prove once more why this band has been up and running for over a decade now and for sure is here to stay! 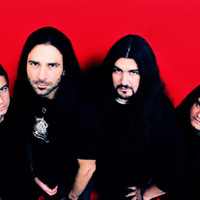 The songs range from fast, hard and double-kick-driven bastards to epic soundscapes to melodic metal hymns. 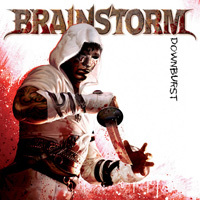 “Downburst” is a beautiful beast, a real ball of steel but also an emotional masterpiece with no fillers… just killers!